Keep comfortable and safe wearing the SKECHERS Work Relaxed Fit®: Workshire - Peril ST boot. 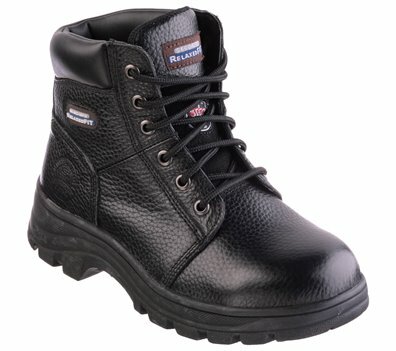 Smooth leather or nubuck leather upper in a lace up ankle height steel toe work boot with stitching and overlay accents. Gel Infused Memory Foam insole.